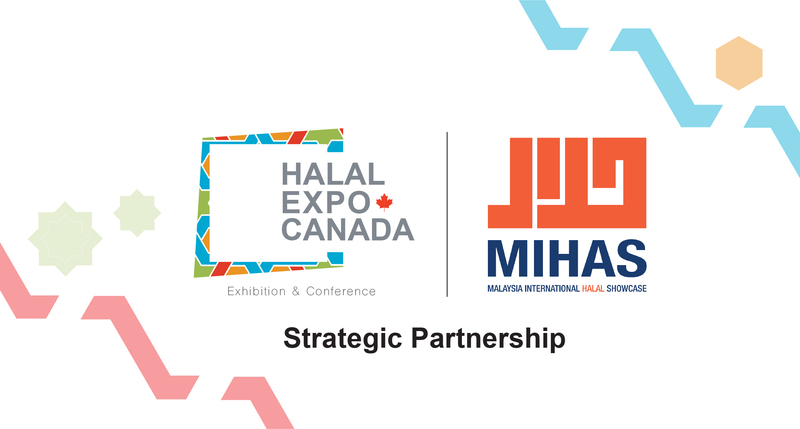 Halal Expo Canada and Malaysia International Halal Showcase (MIHAS) organizers announce the formation of a strategic partnership to further grow halal lifestyle markets in both North America and ASEAN. Toronto, Canada: The Expo Hut is pleased to announce their strategic partnership between Halal Expo Canada (HEC) and the 16th Malaysia International Halal Showcase (MIHAS), which is currently the world’s largest Halal trade show. With this partnership, both events will leverage from the marketing opportunities each show has to offer and will allow further market awareness of MIHAS to North America and vice versa. The Halal Expo Canada 2019 team will be traveling to Kuala Lumpur in early April to promote their inaugural Halal Expo Canada, a B2B event for the Halal sector being held in Toronto, Ontario from October 8 – 9, 2019. Their promotional booth at MIHAS 2019 will be in the Malaysian International Trade Exhibition Centre (MITEC) which is currently the largest exhibition space in the country beside MATRADE, Malaysia’s national trade promotion agency with offices world wide. The 4-day event will feature more than 1,000 exhibitors from around the world to showcase their latest offerings in Halal industry including Food & Beverages, Pharmaceutical, Cosmetics, Logistics, Finance, e-Commerce and Tourism. “We are pleased to develop such an alliance with the world’s largest halal trade event and we are determined to grow our cooperation to achieve the desired objectives for both events” said Nasser Deeb, Director of Halal Expo Canada and CEO of THE EXPO HUT Inc.
HEC is North America’s only B2B trade expo dedicated to the Halal Lifestyle Industry. It is being held in Toronto, Canada’s largest city, from 8-9 October 2019, as a gateway to North America’s growing Halal market. Halal Expo Canada 2019 will display the highest quality products of the Halal industry, and be a meeting point for Halal buyers and suppliers between East and West. The event is targeting more than 250 exhibitors, with 3,500 professional industry attendees from over 13 countries. From Food & Beverage to Pharmaceuticals to Cosmetics, from Finance to E-commerce and Logistics to Tourism and more. Halal industry players will gather under one roof providing traders and buyers the ideal platform to network, share market insights and conduct business.